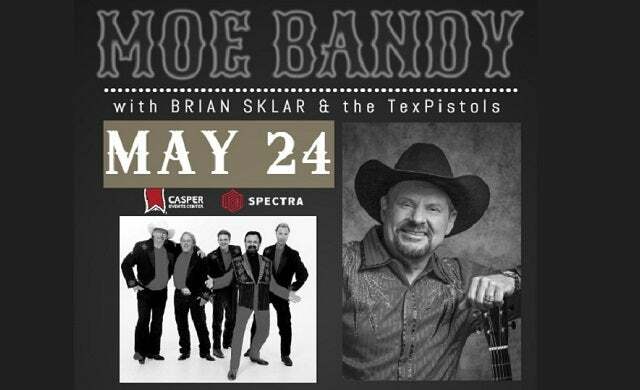 MOE BANDY is one of America’s all-time leading classic country music Artists. Moe’s long string of hits include "Bandy The Rodeo Clown", "Hank Williams, You Wrote My Life", "Till I’m Too Old To Die Young", "Americana", "It's A Cheatin' Situation", "Just Good Ol' Boys", "Barstool Mountain", "I Cheated Me Right Out of You", "I Just Started Hatin' Cheatin' Songs Today", "Rodeo Romeo", "You Haven’t Heard the Last of Me", "Holding The Bag" and dozens of other chart-toppers. Whether writing, recording new songs or travelling the world performing, Moe keeps one of the busiest schedules in show business. Some of his noteworthy accomplishments are: 10 # 1 Hits, 40 Top Ten Hits, 66 Chart Hits, 5 Gold Albums, ACM Song of The Year, ACM most Promising Male Vocalist of the Year, American Video of the year, ACM and CMA Duet of the Year. Visit www.MoeBandy.com for more information. One of Canada’s most awarded country music performers, BRIAN SKLAR has built a reputation as a world-class entertainer in Canada, the United States and Europe. His credits include 40 albums, numerous chart singles, and over 350 network and syndicated television shows. Sklar’s group, the TEX PISTOLS, is a throwback to the days of country superstars like Ray Price, Faron Young, Bob Wills and the Sons of the Pioneers. The band’s originals sound like Nashville 1965, and in some cases, Texas 1933. The group's trademarks are Nudie-style rhinestone suits and interaction with the audience the way entertainers used to in Las Vegas in the 50s and 60s. Brian Sklar and the Tex Pistols are an extremely entertaining trip back to the future; yesterday’s classic country played with today’s energy.